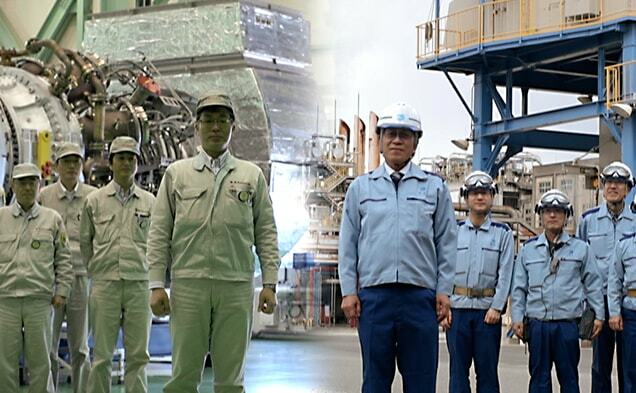 100% Made-in-Japan Gas Turbines | THE STORIES | Kawasaki Heavy Industries, Ltd.
As a distributed generation* system, gas turbines have to generate power efficiently. The key to raising efficiency lies in analyzing the complex flow of air between the compressor and the turbine fins and then producing maximum force. We made adjustments to the fin shape and positioning angle based on multistage CFD (Computational Fluid Dynamics) analysis using the world-class supercomputer K*, and succeeded in producing the world’s highest level of efficiency. Progress in analysis technology also dramatically sped up the process from development to design. Raising gas turbine performance to further promote their use will help enable the earth’s resources to be utilized in a stable manner over the long term. 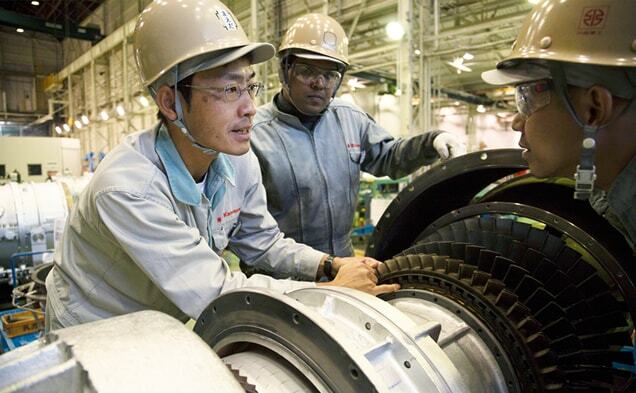 Toward a sustainable society, Kawasaki is leveraging the advantages of integrated development, design and production and working day and night to develop gas turbines that are a step ahead of market needs. Distributed generation : A system or facility generates electricity from many small energy sources. K is RIKEN’s supercomputer. Electricity is supplied to the computer using a co-generation system made up of two 6 MW class gas turbines from Kawasaki. Environmental problems like air pollution and acid rain have grabbed the world’s attention, and high environmental performance is now even required of gas turbines. Kawasaki had long been involved in the development of combustors that give off very little NOx, but the sticking point for realizing low NOx was in how the fuel was combusted. Because there is a limit as to how much NOx can be reduced relying on conventional stable combustion methods, a method called lean premixed combustion* was used to reduce NOx emissions, which prevents regional overheating and evenly distributes heat. However, the fuel concentration is low, so there is the attendant problem of producing stable combustion without the flame going out. To address this issue we developed a combustor with a proprietary reheat burner, which allowed us to successfully maintain ignition and flame stability while ensuring stable combustion. To reduce NOx levels to far below what is outlined by the global environmental standard, we not only ran observational studies, but also produced many types of combustors. 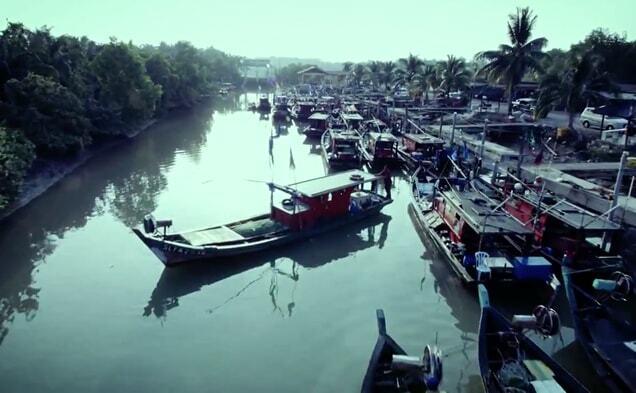 Environmental problems will likely worsen as populations increase and emerging nations further develop their economies. As a company involved in energy supply, a new challenge has begun—how much can we reduce this environmental load. DLean premixed combustion is a combustion method that involves mixing the fuel with air at sufficient levels before combustion. NOx emissions are reduced the lower the combustion temperature, so the fuel concentration is diluted until close to the combustible limit. Gas turbines embody the high quality standards of aircraft engines—this is a major characteristic of Kawasaki’s turbines. 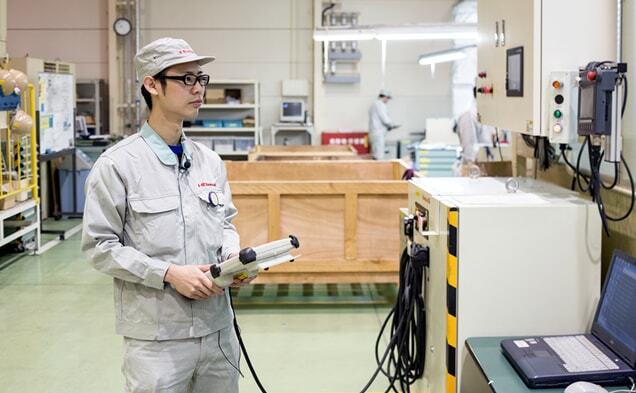 Seishin Works manufactures jet engine parts, and its manufacturing technologies and quality control processes also underpin parts manufacturing for gas turbines used in power generation. In raising gas turbine efficiency it is impossible to avoid increasing the temperature of the combustion gas. However, with conventional parts design and manufacturing methods, it was impossible to achieve target operating times with this temperature load. We therefore adopted a structure that could be cooled more efficiently using air flow inside of the turbine fins. 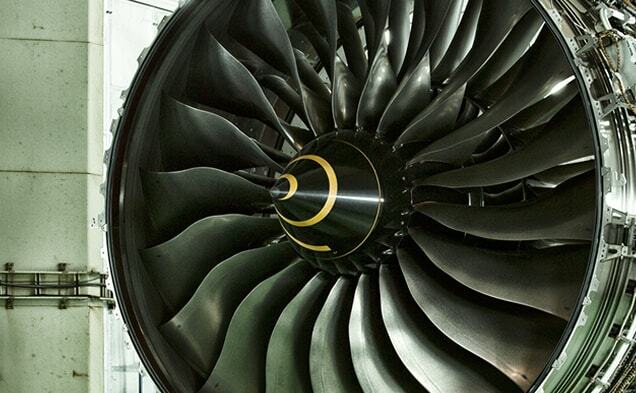 In addition, we dramatically improved durability by using a new material for the turbine fins as well and by coating their surface with a heat-resistant ceramic material. The quality is enough to withstand even the harshest conditions. The fins, originally forged with lives at stake in the air, are back on the ground but remain virtually unbreakable.